It had been established early on at the Coal-fired Power Plant in North Central Oklahoma that I was generally a troublemaker. All three of the Plant Managers that managed the plant during my tenure can attest to that. 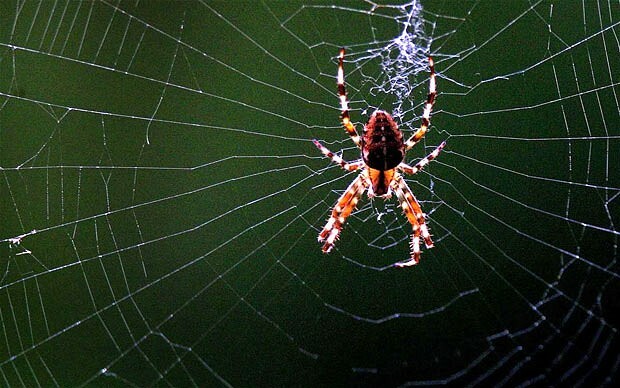 One Plant Manager, Ron Kilman, who reads this blog has been learning over the last couple of years, just what troublemaker I really was, as he reads these posts. I was the “computer guy” at the plant. Though I was an electrician, the IT Support Department in Oklahoma City, 75 miles away deferred daily computer issues to me. The IT Networking Department had me run all their networking cables all over the plant, as I have mentioned before. Anywhere someone wanted a computer installed, I was the only person at the plant that would be assigned the task. Even though I usually tell you stories about great Power Plant Men and their outstanding achievements, today, I must confessed will be solely about myself. It will illustrate why I never could categorize myself as a “True Power Plant Man” like all the Heroes of Power Plant Fame. 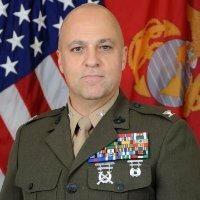 Even though there are countless ways I can demonstrate this, I will focus on the Plant Computer network and the role I played. 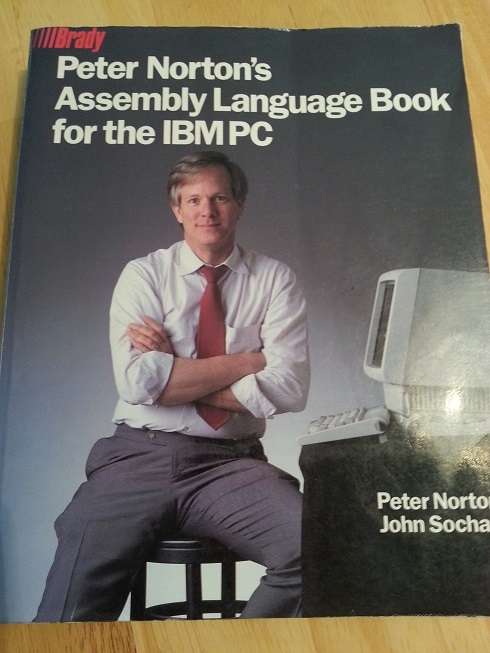 I was pretty much a self-study when it came to computer networks. A few trips to Hastings Bookstore, and I had enough Networking books to be dangerous. 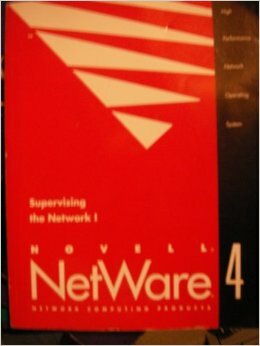 Though I never took a test to be certified, I read the Novell Netware 4 CNA (Certified Netware Administrator) manuals. 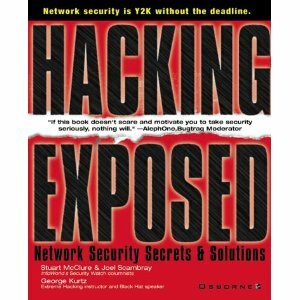 I also read books about different ways people hack into networks, such as the book, “Hacking Exposed”. After pulling the 100 pair telephone cable from the back of the main switchgear to the coal yard by myself for the most part, and crawling through the ceilings in the office area stringing network cable through the rafters and punched down all the wires connecting them to the switches in the telephone room, I sort of felt like I owned the computer network at our plant. After the server rack was installed, and the Novell Netware was up and running, then suddenly, I realized that the networking people downtown didn’t want some electrician poking his nose into their network. This was different than the mainframe. When we just had the mainframe, I had free reign to reek as much havoc on the system as I wanted…. Of course…. I never wanted to do that, it just happened sometimes. I chocked those times up as learning experiences. The networking people downtown in Corporate Headquarters at that time had one major weakness…. They couldn’t administer the network remotely (this was 1995 and Windows servers were something new). So, when something needed to be done on the server at our plant, they had two choices. They could get in a car (or truck) and drive 75 miles to our plant, then spend 10 minutes working on the network at our plant, then drive 75 miles back to Oklahoma City during going home traffic. 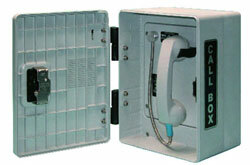 Or, they could call me and have me connect them to the server using a modem and PC Anywhere (A software that allowed a person to remote into a computer and take control of it). Then from a computer on our network, they could log into the computer and access the server. Needless to say, about once each week, I would go up to the engineer’s office to a computer that they would dial into. The computer had PC Anywhere installed and I would start up it up and grant them access to take control. While they were doing this, I would be talking to them on the phone. I could watch everything they were doing. I could see the username they were using to log in, but like today, I couldn’t see the password they were using as it just came across as asterisks. I really wanted to be able to access the network myself. I thought it would help advance my knowledge so that when I did take the Netware CNA tests, I would have some hands on experience. I really wanted to become a Network Administrator. I guess I was sort of a Network Administrator Groupie at the time. I looked up to Network Administrators like they were guru’s with special knowledge. I talked to the networking people in Oklahoma City to see if a lowly electrician like me could have some kind of limited network administrator account on the network so that I could learn about networking. I told them I was studying to become a System Administrator. They looked into it, but never came back with anything. I had read about how hackers would capture passwords by capturing keystrokes from the keyboard. 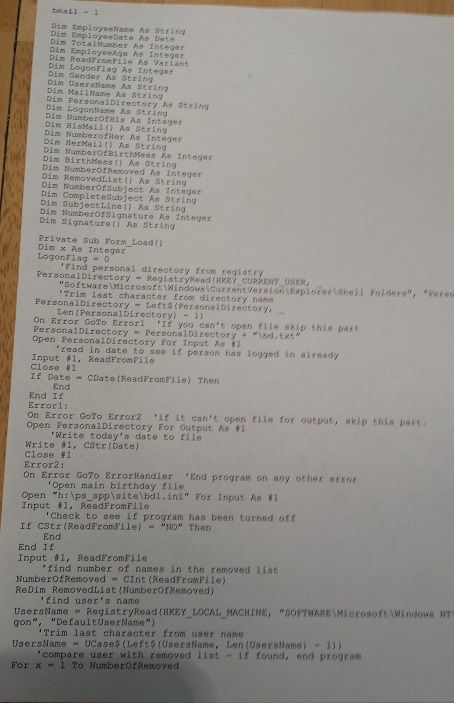 I had done something like this, only the other way around when I was writing little DOS prank programs that changed the values on the keyboards so that when you pressed an “A” it would come out as a “B” instead. 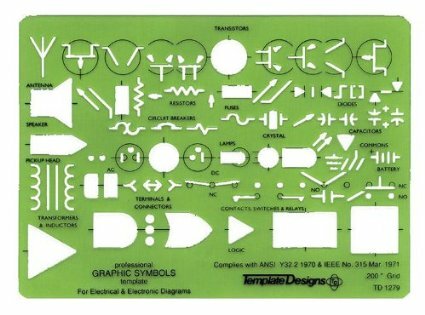 I had one that would turn your caps lock on and leave the cap lock light off. I would have it on a timer, so that it could randomly make you type everything in CAPS in the middle of your sentence. You know… just fun little things like that. I suppose today, these would be categorized as viruses, if I had made them so that they would propagate across the network. So, one day when the network guy from Oklahoma City dialed into the modem I tested the program to see if it would capture keystrokes even though they weren’t coming directly from the keyboard, but from PC Anywhere. To my surprise, when he had finished doing his task, and had logged off, I opened up the log file, and sure enough, all the keystrokes were logged. I could plainly see where he logged onto the server by typing in his username and password. The password reminded me of a friend of mine from High School, because his e-mail address was Condor… something…. The password was: condor. So, I quickly logged into the server using the username and password and created a new Network Administrator account called something like: “Admin_sa” I gave it “God” access. So, after that I could log into the network and look around to see how the system was configured. I know this was underhanded, and today would be highly illegal, but back then, all this network stuff was new and I was learning this along with the rest of the IT department downtown. The only difference was that I was an Electrician at a Power Plant many miles away. I only used that new Administrator account a few times to look at configuration settings as I read through the Netware books. I never changed any settings or did anything devious…. at least not when we were on the Novell Netware Network. I think the thrill of capturing a password and setting up my own account was enough. My philosophy changed later when we moved to a Windows NT Network. That had so many holes in security that it deserved to be played with. It wasn’t too long later that the Netware Network was replaced, which made all my studying for the Netware Administrator useless. I couldn’t understand at the time why we would want to move away from such a secure network to one that had such a bad design that it left itself wide open to hackers. I could quickly write a Word document that would reformat your hard drive just by opening it up. 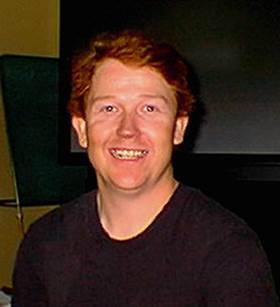 In fact, Charles Foster one time asked me if I could come up with a way to install AOL on his aunt’s computer in California (or some such place), who knows nothing about computers. So, I created a Word document (since she did have Word on her computer already. and added a macro to it, that installed AOL and other software, and all she had to do was double click on the Word document icon. By the time it opened up to where she could read it, it had installed all the software she needed. Once we were on the Windows network, the attitude of the IT network people changed. They were more flexible. They could maintain the network from downtown, so they only called me when they needed someone to log directly into the front of the server, which I did for them whenever they needed it. They began to feel more comfortable with me over time, and the support people downtown sort of granted me all the access I needed at the plant. I think the reason I finally gained the trust of the IT Support team was because I would listen to their personal problems. This was something I had learned as a kid. I used to go around the neighborhood and make friends with all the dogs. That way, when we were playing hide and seek in the middle of the night, I could creep around behind houses, and the dogs wouldn’t bark at me. They would come up to me wagging their tails. It gave me a great advantage. So, by letting the IT Support people tell me about their personal problems, they would trust me. And then when I asked them for favors, they were happy to help out. At that point (when we were on the Windows Network), I could sit in the Electric Shop and access every computer in the plant. For a few things, I had to actually visit a computer, but for a lot of things, I could just access the computer remotely. I have a few stories that I will tell this year that will give you some insight into how I used this power to better mankind…. well, I suppose it depends on how you look at it. Later on, when I went to work for Dell in 2001, I put away all my “trouble causing” hacking stuff and decided that now that I am working in IT, I should join the Good Side of the Force. That didn’t mean that I didn’t do some fun stuff. Actually, some of the really good hacking stuff I had learned at the plant became very useful when I was in IT and could create applications on my own using the knowledge I had gained. There was one time at Dell that I had to hack into database files that had crashed in order to extract the data. I would never have had the confidence to even try that if I hadn’t first learned programming from the ground up at the Power Plant. I think it was Leslie Hale, a consulting manager from Concur (an expense reporting application) ask me at a Concur conference in 2010 how I hacked all of our credit card account numbers from their database when they were encrypted. He said his team had been trying to figure out how I could have done that so quickly. They normally charged $30,000 to migrate the credit card account numbers from their on-premise system to their hosted application. Of course, they have the encryption keys. I told them, I could do it myself by tomorrow and save the $30,000. They didn’t believe me, until the next day I uploaded a file to them with all the employee and account numbers. Dell was happy they didn’t have to pay the $30,000 for something that should have been part of the migration costs already. Don’t let the title fool you. I love testing Power Plant Protective Relays. There is a sense of satisfaction when you have successfully cleaned, calibrated and tested a relay that is going to protect the equipment you have to work on every day. With that said, I was hit with such an unbelievable situation when testing Muskogee Relays in 1995 that I was left with a serious pain in the neck. 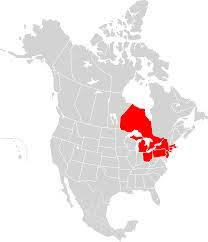 On August 14, 2003 the electric power in the Northeast United States and Canada went out. The Blackout lasted long enough to be a major annoyance for those in the that region of the United States. I have mentioned in a couple of earlier posts that something always seemed a little “off” at the Muskogee Power Plant. I had decided early on that while working there I would stick to drinking sodas instead of water. 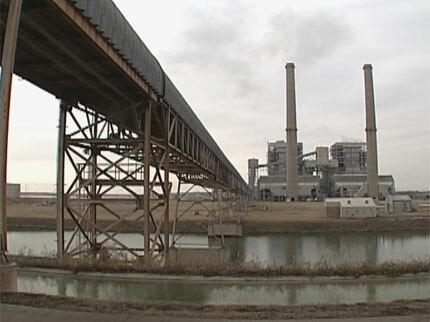 See the post: “Something’s In the Water at the Muskogee Power Plant“. Even with that knowledge, I was still shocked at what I found while testing relays at the plant. 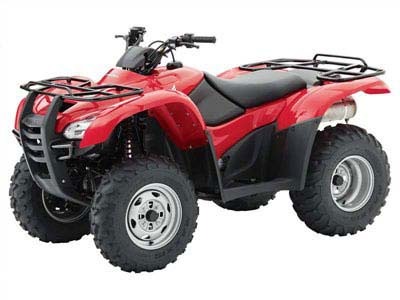 This story really begins one Sunday at Muskogee when one of the Auxiliary Operators was making his rounds inspecting equipment. 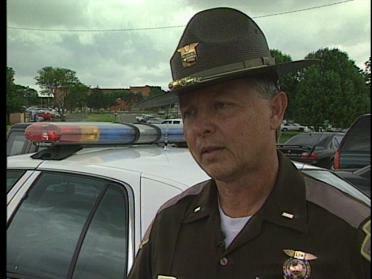 He was driving his truck around the south edge of the Unit 6 parking lot on the service road. He glanced over at a pump next to the road, and at first, he thought he was just seeing things. After stopping the truck and backing up for a second glance, he was sure he wasn’t dreaming. It’s just that what he was seeing seemed so strange, he wasn’t sure what was happening. The operator could see what appeared to be silver paint chips popping off of the large pump motor in all directions. After closer examination, he figured out that the motor was burning up. It was still running, but it had become so hot that the paint was literally burning off of the motor. 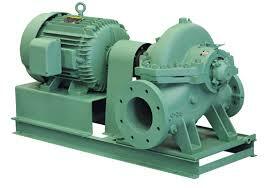 A motor like this would get hot if the bearings shell out. 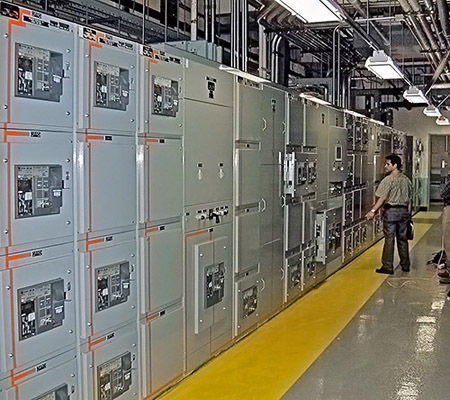 Before the motor is destroyed, the protective relays on the breaker in the 4,000 Volt switchgear shuts the motor off. In this case, the relay hadn’t tripped the motor, so, it had become extremely hot and could have eventually exploded if left running. The operator shut the motor down and wrote a work order for the electricians. 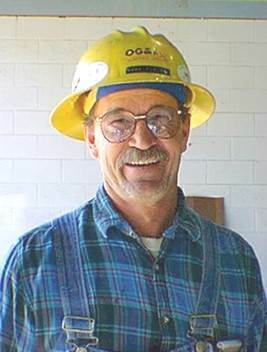 Doyle Fullen was the foreman in the electric shop that received the work order. When he looked into what had happened, he realized that the protective relay had not been inspected for a couple of years for this motor. 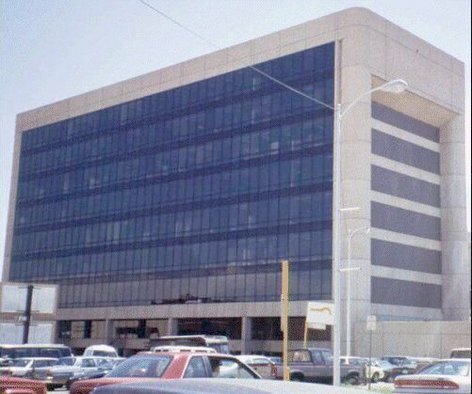 In fact, since before the downsizing in 1994, none of the Protective Relays at the plant had been inspected. The person that had been inspecting the relays for many years had moved to another job or retired in 1994. This was just a warning shot across the bow that could have had major consequences. No one at Muskogee had been trained to test Protective Relays since the downsizing, so they reached out to our plant in North Central Oklahoma for help. That was when I was told that I was going to be going to Muskogee during the next overhaul (outage). I had been formally trained to inspect, clean, calibrate and test Protective Relays with two of my Power Plant Heroes, Ben Davis and Sonny Kendrick years earlier. 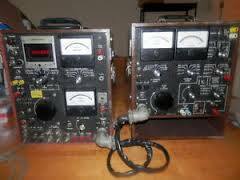 See the post: “Relay Tests and Radio Quizzes with Ben Davis“. Without going into too much detail about the actual tests we performed as I don’t want to make this a long rambling post (like… well…. like most of my posts…..I can already tell this is going to be a long one), I will just say that I took our antiquated relay tester down to Muskogee to inspect their relays and teach another electrician Charles Lay, how to perform those tests in the future. Muskogee had a similar Relay Test Set. 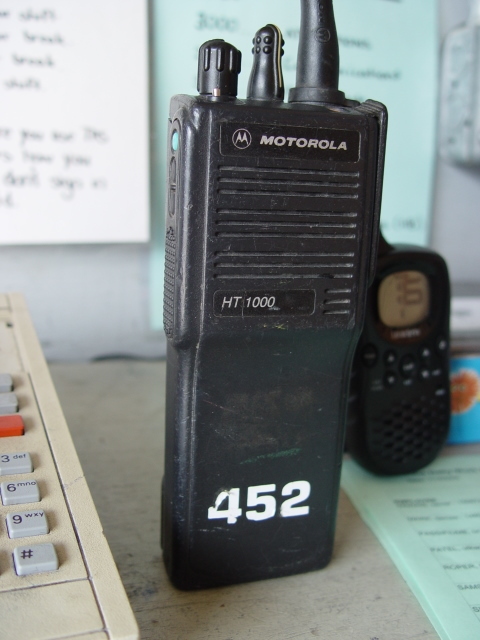 These were really outdated, but they did everything we needed, and it helped you understand exactly what was going on when you don’t have a newfangled Relay Test Set. You need to periodically test both mechanical and electronic protective relays. In the electronic relays the components change their properties slightly over time, changing the time it takes to trip a breaker under a given circumstance (we’re talking about milliseconds). In the mechanical relays (which I have always found to be more reliable), they sit inside a black box all the time, heating up and cooling as the equipment is used. Over time, the varnish on the copper coils evaporates and settles on all the components. This becomes sticky so that the relay won’t operate at the point where it should. 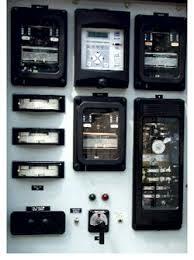 In the picture above, the black boxes on the top, middle and right are mechanical relays. This means that something actually has to turn or pick up in order to trip the equipment. 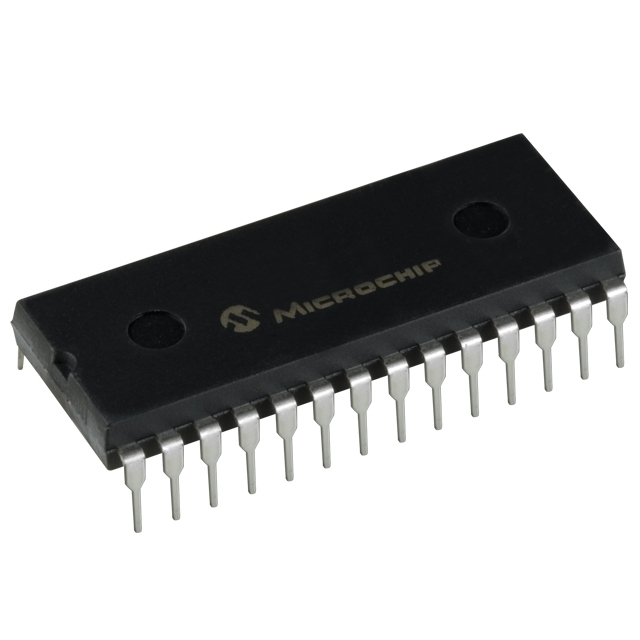 The electronic relays may have a couple of small relays, but for the most part, they are made up of transistors, resistors, capacitors and diodes. So, here I am sitting in the electric shop lab just off of the Unit 6 T-G floor. We set up all the equipment and had taken a couple of OverCurrent relays out of some high voltage breakers in the switchgear. I told Charles that before you actually start testing the relays, you need to have the test documents from the previous test and we also needed the instruction manuals for each of the relays because the manuals will have the diagrams that you use to determine the exact time that the relays should trip for each of the tests. So, we went up to the print room to find the old tests and manuals. Since they weren’t well organized, we just grabbed the entire folder where all the relays tests were kept since Unit 6 had been in operation. When we began testing the relays at first I thought that the relay test set wasn’t working correctly. Here I was trying to impress my new friend, Charles Lay, a 63 year old highly religious fundamental Christian that I knew what I was doing, and I couldn’t even make a relay trip. I was trying to find the “As Found” tripping level. That is, before you clean up the relay. Just like you found it. Only, it wouldn’t trip. It turned out that the relay was stuck from the varnish as I explained above. It appeared as if the relay hadn’t been tested or even operated for years. 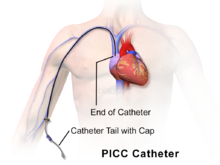 The paperwork showed that it had been tested three years earlier. 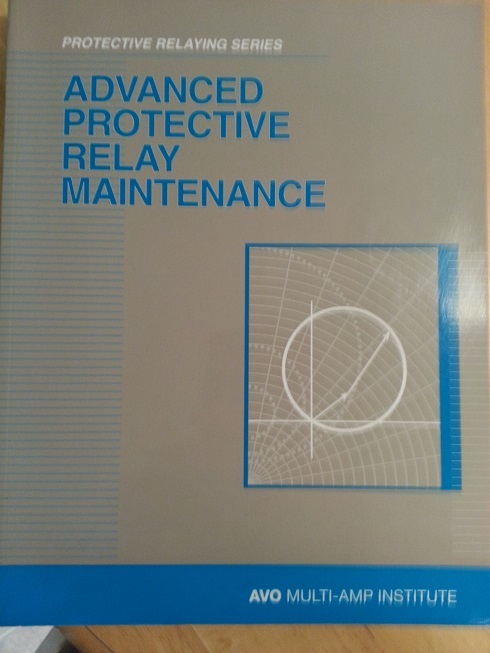 Protective Relays should be tested at least every two years, but I wouldn’t have thought that the relay would be in such a bad condition in just three years. It had been sitting in a sealed container to keep out dust. But it was what it was. I told Charles that in order to find the “As Found” point where the relay would trip, we would need to crank up the test set as high as needed to find when it actually did trip. It turned out that the relay which should have instantaneously tripped somewhere around 150 amps wouldn’t have tripped until the motor was pulling over 4,000 amps. I could tell right away why the Auxiliary Operator found that motor burning up without tripping. The protective relays were stuck. As it turned out… almost all of the 125 or so relays were in the same condition. We cleaned them all up and made them operational. There is an overcurrent relay for the main bus on each section of a main switchgear. When I tested the “As Found” instantaneous trip for the main bus relay, I found that it was so high that the Unit 6 Main Turbine Generator would have melted down before the protective relay would have tripped the power to that one section of switchgear. The entire electric bus would have been nothing but molten metal by that time. As I tested each of these relays, I kept shaking my head in disbelief. But that wasn’t the worst of it. The mystery as to why these relays were all glued shut by varnish was finally solved, and that reason was even more unbelievable. Here is what I found….. The first thing you do when you are going to test a relay is that you fill out a form that includes all the relay information, such as, what it is for, what are the settings on the relay, and what are the levels of tests that you are going to perform on it. You also include a range of milliseconds that are acceptable for the relay for each of the tests. Normally, you just copy what was used in the previous test, because you need to include the time it took for the Previous “As Left” test on your form. That is why we needed the forms from the previous test. So, I had copied the information from the previous test form and began testing the relay (one of the first overcurrent relays we tested)… Again… I was a 34 year old teacher trying to impress my 63 year old student. So, I was showing him how you mechanically adjust the relay in order for it to trip within the acceptable range. No matter how hard I tried, I couldn’t adjust the relay so that it would even be close to the desired range for the longer time trip times…. like the 2 second to 25 second range. It wasn’t even close to the range that was on the form from the last test. See all those red lines? Well, when you setup a relay, you have a dial where you set the range depending on the needs for the type of motor you are trying to trip. Each red line represents each setting on the dial. Most of the relays were set on the same number, so we would be using the same red line on the diagram to figure out at different currents how long it should take for a relay to trip…. Here is the clincher….The time range that was written on the previous form wasn’t for the correct relay setting. The person that tested the relay had accidentally looked at the wrong red line. — That in itself is understandable, since it could be easy to get on the wrong line… The only thing is that as soon as you test the relay, you would know that something is wrong, because the relay wouldn’t trip in that range, just like I had found. This meant that when the person completed the forms the last time, they didn’t test the relays at all. They just filled out the paperwork. They put in random values that were in the acceptable range and sat around in the air conditioned lab during the entire overhaul smoking his pipe. — Actually, I don’t remember if he smoked a pipe or not. He was the Electrical Specialist for the plant. I remembered seeing him sitting in the lab with a relay hooked up to the test set throughout the entire overhaul, but I realized finally that he never tested the relays. He didn’t even go so far as try to operate them. I went back through the records to when the plant was first “checked out”. Doyle Fullen had done the check out on the relays and the test after that. Doyle had written the correct values from the manual on his forms. I could see where he had actually performed the tests on the relays and was getting the same values I was finding when I tested the relays, so I was certain that I wasn’t overlooking anything. As I tested each of the relays, I kept shaking my head in disbelief. It was so unbelievable. How could someone do such a thing? Someone could have been killed because a protective relay wasn’t working correctly. This was serious stuff. One day while Charles and I were working away on the relays, Jack Coffman, the Superintendent of all the Power Plants came walking through the lab. He asked us how we were doing. I swiveled around in my chair to face him and I said, “Pretty good, except for this pain in my neck” as I rubbed the back of my neck. Jack stopped and asked me what happened. I told him that I had been shaking my head in disbelief for the last two weeks, and it gave me a pain in the neck. Of course, I knew this would get his attention, so he asked, “Why?” I went through all the details of what I had found. I showed him how since the time that Doyle Fullen last tested the relays more than 10 years earlier, these relays hadn’t been tested at all. I showed him how the main bus relays were so bad that it would take over 100,000 amps to have tripped the 7100 KV switchgear bus or 710 Megawatts! More power than the entire generator could generate. It was only rated at about 550 Megawatts at the most. Jack stood there looking off into space for a few seconds, and then walked out the door…. I thought I saw him shaking his head as he left. Maybe he was just looking both ways for safety reasons, but to me, it looked like a shake of disbelief. I wonder if I had given him the same pain in the neck. That is really the end of the relay story, but I do want to say a few words about Charles Lay. He was a hard working electrician that was nearing retirement. People would come around to hear us discussing religion. I am Catholic, and he went to a Fundamental Christian Church. We would debate the differences between our beliefs and just Christian beliefs in general. We respected each other during our time together, even though he was sure I am going to hell when I die. People would come in just to hear our discussion for a while as we were cleaning and calibrating the relays. One day Charles asked me if I could help him figure out how much he was going to receive from his retirement from the electric company. He had only been working there for three years. Retirement at that time was determined by your years of service. So, three years didn’t give him too much. When I calculated his amount, he was upset. He said, “Am I going to have to work until I die?” I said, “Well, there’s always your 401k and Social Security.” He replied that he can’t live on Social Security. I said, “Well, there’s your 401k.” He asked, “What’s that?” (oh. not a good sign). I explained that it was a retirement plan where you are able to put money in taxed deferred until you take it out when you retire. He said, “Oh. I never put anything in something like that.” My heart just sank as I looked in his eyes. He had suddenly realized that he wasn’t going to receive a retirement like those around him who had spent 35 years working in the Power Plant. When I left the plant after teaching Charles Lay how to test the relays, that was the last time I ever saw him. I don’t know what became of Charles. I figure he would be 83 years old today. I wonder if he finally retired when he reached the 80 points for your age and years of service. He would have never reached enough years of service to receive a decent amount of retirement from the Electric Company since he didn’t start working there until he was 60 years old. That is, unless he’s still working there now. As I said earlier in this post, Charles Lay was a very good worker. He always struck me as the “Hardworking type”. I often think about the time we spent together, especially when I hear about a power blackout somewhere. — A word of caution to Power Companies…. keep your protective relays in proper working condition. Don’t slack off on the Preventative Maintenance. — I guess that’s true for all of us… isn’t it? Don’t slack off on Preventative Maintenance in all aspects of your life. At a Power Plant, three things are certain: Death, Taxes and Quittin’ Time. Nothing can stand in the way of any of these three activities. The only time Quittin’ time might change is on a Friday afternoon just before it is time to go home and you hear the Shift Supervisor paging one of the foremen or the Maintenance Supervisor. Then you know that Quittin’ time is likely to change at the spur of the moment. Not eliminated, but only delayed. I suppose we try doing that with Death as well. I have never tried delaying Taxes before. After the downsizing at the Coal-fired Power Plant in North Central Oklahoma in 1994, a lot of things had changed. As an electrician, I was now working on a cross-functional team with Charles Foster as my electrical bucket buddy. The rest of my team had different skills. 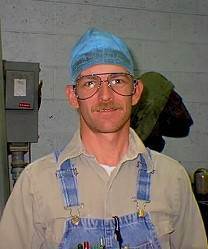 Some were Instrument and Controls, others were Welders, Machinists, Mechanics and then there was Alan Kramer, our foreman. The new way we received work orders (we called them Maintenance Orders or MOs) was from our new Planners. There were two people responsible for figuring out our work for the week. That was Ben Davis and Tony Mena. I don’t have a photo of Tony, but here is Ben. 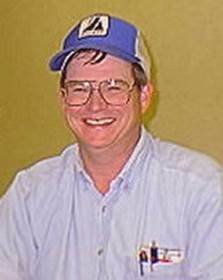 I have talked about Ben Davis in a number of past posts, as he was my mentor when I first became an electrician. I always looked up to him as a big brother. And, well, he treated me as a younger brother… but always with more respect than I deserved. Tony on the other hand was originally hired to be on the Testing Team when I was on the Labor Crew. I still remember Monday, July 18, 1983 watching Tony Mena and the rest of the new Testers walking around the plant following Keith Hodges around like baby quail following their mother (at least that was the way Ron Luckey described them as we watched them from the back seat of the crew cab as we drove past them). The men and woman on Labor Crew had felt passed over when the new testing team had been formed because no one on the labor crew had been considered for the new jobs even when we met the minimum requirements (which was to have any kind of college degree). So, even though it wasn’t fair to the new testing team, we had an immediate animosity toward them. 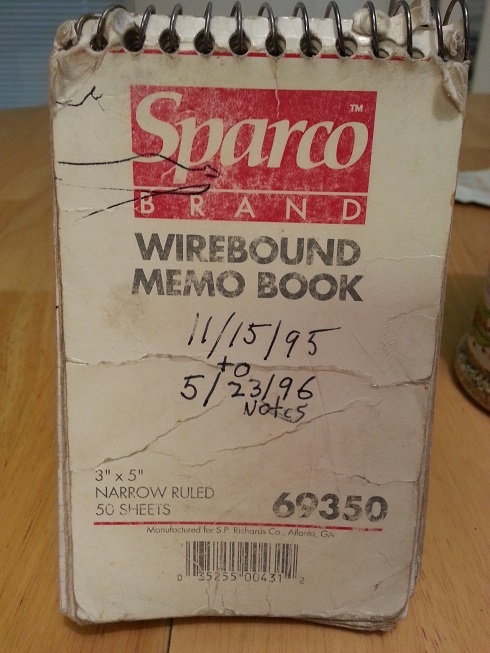 After the first downsizing in 1988, Scott Hubbard had moved to the electric shop and I quickly learned that not all testers were rotten, job stealing chumps. Actually, none of them were. They never had anything to do with who was chosen for the Testing team. That came from above. If you are interested, you can read the post: “‘Take a Note Jan’ Said the Supervisor of Power Production“. Scott and I became like brothers when he joined our team. After the second downsizing, the Testing team was eliminated. Scott had become an electrician seven year earlier, Doug Black moved into the Engineering Department. Richard Allen became an Instrument and Controls person and Tony Mena became a Planner along with Ben Davis. We had two other planners Glenn Rowland and Mark Fielder (who later traded with Mike Vogle to become a foreman). Glenn and Mark spent their time planning major outages, where Tony and Ben did more of the day-to-day stuff. Tony Mena no longer had anyone to carpool with, so he asked me if he could carpool with Scott and I. So, we agreed. We told Tony that it was important to be on time, because we didn’t want to be late arriving at the plant, and we definitely didn’t want to be late going home (which was much more important). Tony agreed that he would be on time. Quittin’ Time at the plant is a very important and orchestrated event. It begins a half hour earlier when everyone returns to the shop and cleans up and puts their tools away. Then they go into the foremen’s office and fills out their timecards for the day. This includes adding each of the maintenance orders we have worked on during the day and how many hours on each. The next step is to grab your lunch box and go stand by the door to wait until the exact second that it is time to leave. When that happens, a steady stream of Power Plant Men pour into the parking lot, into their pickup trucks (and other vehicles) and head either north or south down Highway 177 toward their homes. Some stopping along the way for a beverage at the corner convenience store. The Power Plant Men have Quittin’ Time down to a honed art form. Each stroke of the brush is carefully orchestrated. Scott and I went to perform our part of the ballet where the vehicles all backed out of their parking spaces in chaotic unison and quickly perform the three lines out the end of the single lane on the south side of the parking lot. However, when we arrived in our car, Tony was no where to be found. As we received concerned looks from Randy Dailey and Jerry Day, as they pirouetted around us, wondering why we weren’t taking our turn in the Parking Lot Tango, all we could do was shrug our shoulders and watch as the dance went on without us. Finally about 10 minutes past Quittin’ Time, Tony came walking out of the shop apologizing for being late. We told him that was all right as long as he didn’t make a habit out of it. We were pretty peeved that day because this meant that we had 10 less minutes that day to spend with our families. We were even more peeved when the same thing happened the next day. We didn’t wait 10 minutes. After 5 minutes we went into the maintenance foremen’s office and found Tony still working away on his computer trying to finish up his work. We told him he had to leave right now! He said he hadn’t realized it was time to go. Nothing is worse than a delayed Quittin’ Time when it isn’t for a legitimate reason. Tony didn’t have a wife and children at home so he didn’t feel the urgency that Scott and I felt. So, I figured I was going to have to do something about this. We weren’t going to tell Tony that he could no longer ride with us, because we knew he needed the company as much as we did, so I came up with a different plan. It would load up on Tony’s computer when he booted it up, so he didn’t have a choice whether it ran or not. It showed up in the Task Bar at the bottom. It said: “Quittin’ Time in: 7:45:35” for example and it would count down each second. Then it would count down all day until Quittin’ Time. There was no visible way to turn it off (Power Plant Men had yet to learn about the Task Manager as this was Windows 3.1). You could click on Quittin Time in the Task Bar and it would open up a small box in the middle of your computer with the time ticking down, but there was no red X in the corner to shut it down. There was only a minimize underscore that would put it back in the task bar. I had added a small feature in the dialog window. In the lower right corner, there was a little slash sort of hidden in the corner. If you clicked on that, it opened another dialog box that let you set the actual time of day for “Quittin’ Time”. So, if you had to leave early, or later, you could adjust your Quittin’ Time. Here was the clincher with the Quittin’ Time program. It was not enough to just show Tony that it was Quittin’ Time. This program had to force Tony to shut down and go home. So, when it was 15 minutes before Quittin’ Time, a Big Yellow Window would open up on top of any other work and would flash on and off that it was “15 minutes before Quittin’ Time! Time to Finish your Work!” Tony could close this window. Then when it was 5 minutes to Quittin’ Time, another big yellow window would open up flashing 5 minutes before Quittin’ Time! Finish your work now!” and it would beep at you 5 times. Tony could close this window. At one minute until Quittin’ Time, all heck broke loose on the computer. A big red window would open up and the computer would start beeping continually. The flashing Window could not be closed. It would say: “Less than One Minute To Quittin’ Time! Save all your Work!” The words would continually flash as well at the red background while counting down the seconds and it could not be stopped. At “Quittin’ Time” The Red Box would say “QUITTIN’ TIME!” and the computer would lock up beeping continuously as loud as that little beeper(the internal speaker) could beep (this was a 386 PC). At that point, the only thing you could do was hit the power button and shut your computer off. I wish I had some screen shots to show you. Maybe I’ll find my old code and recreate it and take some and add them to this post later. Needless to say, the first day I added this program to Tony’s computer, he didn’t heed the warnings. When the computer went crazy, he tried saving his work, but ended up losing a little of it before the computer completely locked up on him. He came out to the parking lot on time, however, he wasn’t in the greatest mood. We were. Scott and I were smiling. We were going to be home on time, and best yet, that day, we were included in the “Dance of the Sugar Plum Fairies” being performed by the pickup trucks that day in the Parking Lot. The best part of the Quittin’ Time program came later. After about a week, Tony (who now left work on time every day) asked me if I could add something to the Quittin’ Time program. He wanted to know if I could make it so that he would remember to eat lunch. He would get so involved in work that he would miss his lunch entirely. So, I added a “Lunch Time” Feature to the program as well. He could adjust his lunch time using the same option window that opened when you clicked on the little slash in the lower corner of the Quittin’ Time window. When I added the Lunch Time feature, I also added an Internet Feature that would go out to Yahoo Stock Quotes and get the Daily Stock Quotes for all of our 401k Mutual Funds and our company stock and at 3:40pm CST would pop up a window with the day’s stocks, so you could see how the Mutual funds in your 401k did that day. — Nothing better than watching your retirement plan grow each day. Yahoo posted the Mutual Fund updates for the day around 3:30pm, so Tony would be the first person each day to get the latest Stock news for our Mutual Funds. Tony Mena was known as Planner 4 later when we moved to SAP because that was the username he used. Ray Eberle used to say to me, “We always want to keep Planner 4 happy!” Later this year, I will go into various ways we kept Tony happy, or confused… or well… on his toes anyway. We were told at the coal-fired Power Plant in North Central Oklahoma that we were going to have to stop doing the excellent job we were used to doing. We no longer had time to make everything perfect. We just had to patch things together enough so that it was fixed and leave it at that. Jasper Christensen told us that we were going to have to “Farm Fix” things and work harder because we now only had half the employees. Two things bothered me right away…. First, “Work Harder.” What exactly does that mean? How does one work harder? 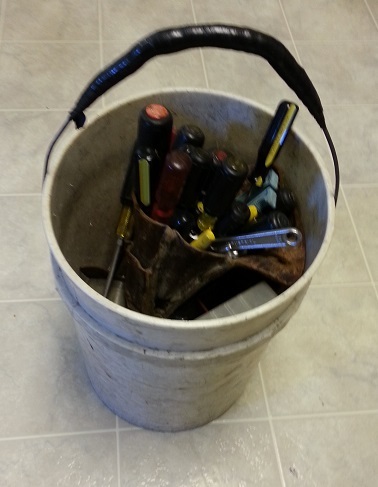 When I pick up my tool bucket to go work on a job, should I put some extra bricks in it so that it is harder to carry? What then? Think about it… Shouldn’t we be working “Smarter” instead of “Harder”? We were all hard workers (if that means, spending a good 8 hour day doing your job). Any slackers were laid off 7 years earlier. When I heard “Farm Fixing” I took offense to the reference. Jasper had mentioned using baling wire to hold something up instead of taking the time to make our jobs look pretty. As if baling wire was somehow synonymous with “Farm Fixing”. My grandfather was a farmer…. I’ll talk about that in a bit…. Jasper also informed us that we were no longer stuck doing only our own trade. So, an electrician should expect to help out as a mechanic or a welder as long as it wasn’t too involved. Certain welding jobs, for instance, require a certified welder. If the job was just to tack weld up a bracket somewhere, then I, as an electrician, could wheel a welding machine over there and weld it up. After that initial meeting after we had been downsized to pint-sized, we met with our own teams. Alan Kramer was my new foreman. He encouraged us to learn the different skills from our teammates. I asked Ed Shiever to teach me how to weld. After about an hour, I decided I wasn’t too interested in melting metal using electricity. I would leave it to the experts. I was left with a sunburned chest, as I usually wore a V-Neck Tee Shirt in the summer. 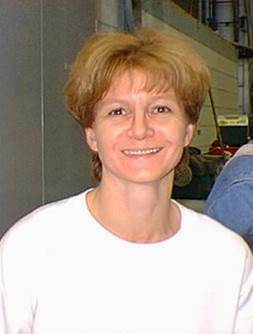 Jody Morse was a mechanic on our team, who had been a friend of mine since I was a janitor. We had been on the labor crew together. He asked me if he could do some electrical work with me. He thought it would be a useful skill to learn. I happily agreed to let him work alongside me running conduit and pulling wire around the precipitator hoppers. It wouldn’t include working on any circuits where he might accidentally come into contact with anything live. So, I thought this was a good starting point. That was one of the first skills I learned as an electrician-in-training when I was taught by Gene Roget, a master of conduit bending. I showed Jody how to bend the conduit and have it end up being the right length with the curves in the right place (which is a little tricky at first). Then I showed Jody where the conduit needed to go, and where the wire needed to end up. He said he wanted to do this all by himself, so I left him to it and left to do something else. A little while later, Jody came back and said he had a slight problem. He had cut the cable just a little bit too short (Yeah. I had done that myself, see the post: “When Enough Power Plant Stuff Just Ain’t Enough“). I looked at the problem with him, and he was about six inches too short. Jody looked the job over and decided he had two options. Pull some new longer cable, or try to make the existing cable work.He figured out that if he cut off 6 inches of the conduit, and sort of bent it out so that it was no longer exactly at 90 degrees, then it would still reach where it needed to go, only the conduit wouldn’t look so pretty because the conduit would appear a little cockeyed. We figured this would be all right because Jasper had just finished telling us that we needed to make things not so pretty anymore. Jody finished the job, and filled out the Maintenance Order indicating that the job was done. The cable and conduit job had been requested by Ron Madron, one of the Instrument and Controls guys on our team. When he went out and looked at the conduit, let’s just say that he wasn’t too impressed. He went to Alan Kramer and complained that the conduit job was disgraceful. I don’t remember his exact words, but when I heard about it, it sounded to me like he said “It was an abomination to all things electrical”. I had always taken pride in my work, and doing a “sloppy” job was not normal for me. I didn’t want Jody to feel bad about this because he was pretty proud of having completed the job all by himself without my help. So I went and had a one-on-one with Ron and explained the situation to him. I also told him that the next time he has problem with something I did, come directly and talk to me about it instead of our foreman. We’re all on the same team now. I think once he realized the situation, he was more receptive. Jody and I did go back out there and fix the issue by running a new cable that was long enough, with a new piece of conduit that was installed with the best of care so that it looked pretty. — None of us informed Jasper that behind his back we were still performing our jobs with great care and precision. The more I thought about the idea of “Farm Fixing” and “Risk Management” and how it was being applied at our plant, after about a year, I wrote a letter to the Superintendent over all the Power Plants, Jack Coffman. I went through the Root Learning Class on Friday, September 6. After the class our table remained to discuss with Bruce Scambler the situation that exists at the power plants concerning the way we maintain our equipment. We attempted to discuss our concerns with our facilitator, however, the canyon depicted in the first visual became more and more evident the further we discussed it. My two concerns are the terms “Farm Fixing” and “Risk Management”. These are two good processes which I believe must be employed if we are to compete in an open market. I do believe, however, that our management has misunderstood their true meaning and has turned them into catch phrases that are something totally different than they were originally intended. I come from a family of farmers. My father and grandfather were farmers. I was concerned about our use of the term “Farm-fixed”, so I discussed the way we were using it in our company with my father and I have confirmed my understanding of the term. My grandfather as a farmer was a Welder, a Blacksmith, a Carpenter, and an Engine Mechanic. When a piece of machinery broke down while he was out harvesting or ploughing a field, it is true that baling wire and a quick fix was needed to continue the work for the day. There is a small window of opportunity when harvesting and the equipment had to be running during this time or the farmer’s livelihood was at stake. That evening, however, the piece that broke was reworked and re-machined until it was better than the original store bought item. Thus guaranteeing that it wouldn’t break down the following day. If the repairs took all night to make it right, they would stay up all night repairing it correctly. It was vital to their livelihood to have their machinery running as well as possible. A Ford Tractor soon became my grandfather’s tractor as the original factory parts were replaced with more sturdy parts. It wasn’t repainted (gold-plated), because they weren’t planning on selling their equipment. The tractors and plows would last years longer than originally designed. All this was before farming became a subsidized industry. We need to “Farm-Fix” our equipment. Our management however, focuses on the use of baling wire during an emergency and replaces the true meaning of Farm-Fixing with the meaning of “Jerry-Rigging”. Which is merely a temporary fix while farming and is NOT farm-fixing something. 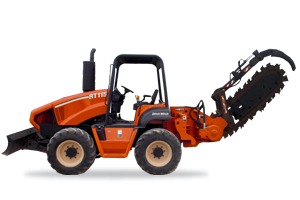 We have been maintaining our plant with quick fixes and have not been farm-fixing them. If so, our equipment would be more reliable, and would last longer than originally intended. Risk Management is another area that has been misunderstood by our management. They have gone to school and have been trained in Risk Management. I don’t believe they are using their tools in the way that they were taught. They have taken the underlying idea that we may not need to make a change or repair a certain piece of equipment at this particular time and have made it the center of their idea of Risk Management. Risk Management is more than that. It is weighing the consequences of both actions against the cost and making an informed decision to determine the timing of maintenance. Risk Management at our plant has become nothing more than speculation, or what I call “Wish Management”. The decision is often made based on the immediate cost and downtime to delay maintenance without properly identifying the possible damage that could occur and the cost of that scenario. The phrase “It’s run that way this long, it will probably be all right” is used to justify not repairing the equipment. No real analysis is done. Then we cross our fingers and “Wish” that it will continue running forever. I believe in the concepts of Risk Management and Farm-fixing. I think they are processes that should be used in our company to achieve and maintain “Best-In-Class”. I am concerned, however, that if we continue on the course that we are on where “Wishing” and “Jerry-rigging” are our processes, it will only be a matter of time before our workers get killed and our plants melt down around us. — End of the letter. See? I was always trying to stir things up. The first summer I worked at the Power Plant as a summer help, we had a couple of floor drain covers in the maintenance shop that were missing from the floor drains. Plywood had been used to cover the drains, which had been smashed down by the heavy equipment that traveled in and out of the shop. One day during lunch I wrote a Maintenance Order to have the floor drain covers replaced and placed it on Marlin McDaniel’s (the only A Foreman at the time) desk. I was only an 18 year old kid that was just learning my way around in the world and already stirring things up, but I figured this was an accident waiting to happen. Approximately one year after I wrote the Farm-fixing and Risk Management letter to Jack Coffman, we had a major incident at the power plant that was directly caused by the decision not to replace a coupling when it was known to be faulty (risk management, they called it). It would have required extending an overhaul a day or two. Instead, after half of the T-G floor burned to the ground and the plant was offline for about 3 months. Millions of dollars of damage. That is a story for another post. Long before Facebook ever graced the pages of our browsers, Power Plant Birthday reminders began appearing in the Outlook E-mail Inboxes of Power Plant men at the Coal-fired Power Plant in North Central Oklahoma. Today it seems commonplace to be reminded of your friends birthdays as your smartphone pops up a message to remind you. In 1997, a strange event began happening at the plant. It sent some scurrying about to find the culprit. Others found it funny. Some worried that their secrets were about to be revealed. One person was totally surprised by the response (me). January 3, 1997 Charles Foster and I went to our morning meeting with our team in the main break room where we would meet every morning to go over the work for the day. Alan Kramer began the meeting by asking me a direct question. He said something like, “Kevin. Do you know anything about emails from the Birthday Phantom?” I asked him what he meant, and he went on to explain. 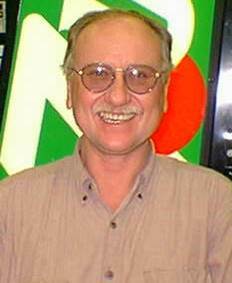 It happened that when Wayne Cranford opened his own e-mail, the subject said, “Happy Birthday Wayne Cranford!” and the body of the email had the happy birthday song, “Happy Birthday to you. Happy Birthday to you. Happy Birthday dear Wayne. Happy Birthday to you. The Birthday Phantom. So, after Alan explained this to me, he looked at me again with a rather stern look and said, “Kevin. Did you do this?” What could I say? So, I said, “Why is it that whenever something like this happens, I’m always the first one to be blamed for it?” I knew at that point that Alan’s next response was going to mean the difference between night and day, so I put on the most indignant look I could. You see…. 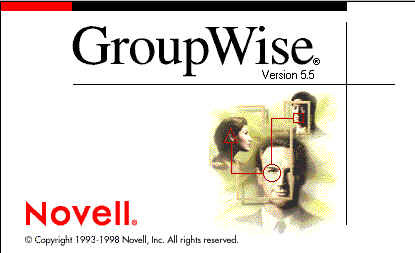 about a year earlier, before we were using Microsoft Outlook, we were using Novell’s Groupwise for email. Alan Kramer had come to me and asked me if I had done something “wrong” in regard to emails. It turned out that I was innocent of any “wrongdoing” in that instance (well, almost). Charles Foster was my witness. 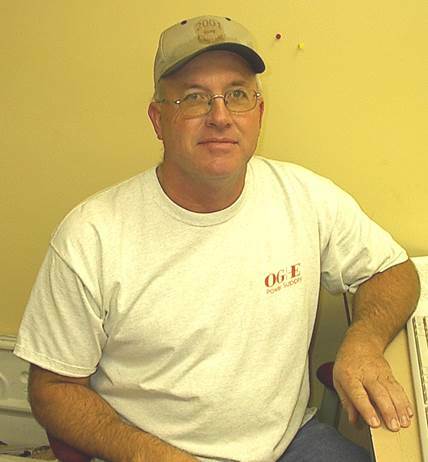 What had happened was that one day, Danny Cain, who was the Instrument and Controls person on our team had come into the electric shop office to make a phone call to someone at Corporate Headquarters in Oklahoma City. 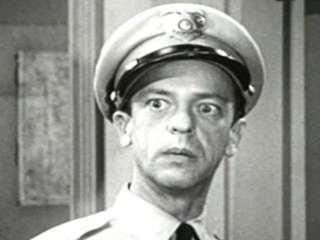 I think it was Ed Mayberry. Email was a new idea for most people at the plant. While Danny was on the phone, I turned to the computer sitting on the desk across the room from Danny and wrote an e-mail to the person that Danny was talking to telling him not to believe a word Danny was saying… whatever it was…. it wasn’t important. I just thought it would be funny to send an email to Ed about Danny while he was talking to Danny on the phone. The subject of the email was “Danny Cain”. As Danny was talking on the phone, he happened to turn around just as I was clicking “Send”, and he saw his name in the subject line. Charles was sitting there next to me, as we were on break at the time. Danny quickly asked what I was doing and why did he see his name on an e-mail. I put on the guiltiest look I could and said, “Oh. Nothing. Nothing at all.” Rolling my eyes with obvious guilt. I didn’t know how much this bugged Danny until a couple of days later Alan came into the electric shop office and said he needed to ask me a serious question. I could tell he was upset with me. He asked, “Have you been reading other people’s emails?” I was confused by the question, because I didn’t relate it to Danny from the other day. So both Charles and I looked confused. I told Alan that not only had I not read other people’s emails, but even if I could, I wouldn’t because I considered other people’s emails private. Then I explained to him that Novell’s Groupwise email was very secure, and I wouldn’t know how to hack into their email if I had a desire. Which I didn’t. Still confused by why Alan would ask the question both Charles and I asked Alan what this was all about. He didn’t want to say who it was that told him they thought I was reading their emails, but after we pressed him, he told us that Danny Cain said he saw me reading his email when he was in the office. Then both Charles and I knew what this was all about. I explained to Alan that I was just joking around with Danny at the time. I reasoned with Alan that I would have to be pretty stupid to wait until Danny was standing a few feet away from me before I decided to read his emails. Alan accepted my explanation. 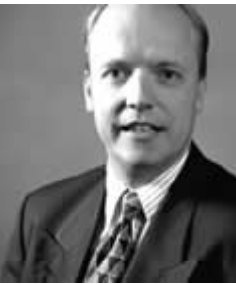 Especially since it was backed by one of the most honest people at the plant, Charles Foster. So, fast forward to November 6, 1996. We were now using Outlook. That was about as secure as a bag of Oreo cookies in a kindergarten classroom. After brainstorming ideas, we settled on sending emails and the “Birthday Phantom” was born. I thought it would be neat to learn how to write programs that used the Outlook API, sending emails, and stuff like that. So, I went to work during my lunch breaks writing the program. It only took a week or so to get it working, and then we ran a bunch of tests on it until we settled on having the emails be sent by the same person that is receiving the email when they log on the computer. Each time a person logs on the computer, the program would be kicked off. The first thing it would do was check to see if the person had already logged on that day. If they had logged on before, then it would shutdown because I didn’t want it to send more than one email for the same day, even if the person used a different computer. The next thing it would check was if the person was on an exception list. We had decided that it was best to keep the plant manager and his cronies… um… I mean, his staff from receiving emails, as we didn’t think they would appreciate it since they didn’t have much use for such things. If the person logging on was on the exceptions list, the application would shutdown. Then, it would check to see if it was anyone’s birthday that day. If it was, then it would send an email from the person logged on, to the person logged on. If it was the birthday of the person logging on, then it would modify the email so that it was personalized to say happy birthday to them. There were little tweeks I made while testing the application before we went live with it. First, I added little things like making sure the gender was correct. So, if it was a woman’s birthday, then it would say “…wish her a happy birthday”. Charles and I decided that the application would start running on January 1, 1997. So, during December, I made sure it was setup on all the computers in the plant except those belonging to the staff. 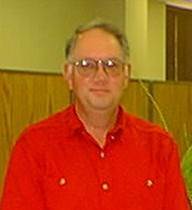 This brings us to January 3, 1997, when Wayne Cranford was the first Power Plant Man to have a birthday. As I hinted above, Alan’s response to my indignation at being accused of creating the Birthday Phantom would have determined how short-lived the Birthday Phantom would have been. Since Alan didn’t pursue the inquiry I didn’t offer any more information. For instance. A few minutes after the meeting was over, I walked over the control room, and the control room operators were all standing around talking about the Birthday Phantom. David Evans asked me if I was the Birthday Phantom. I responded the same way I did with Alan, I said, “Why is it that when something like this happens, I am always the first person to be accused?” David responded with, “Yeah, but are you the Birthday Phantom?” Well. I wasn’t the type of person to blatantly lie, so I had to admit that “Yes. I’m the Birthday Phantom, but don’t tell anyone.” The Control room operators said they would all keep it to themselves (yeah. right). Though some people thought the Birthday Phantom was a nuisance, others thought that their personal emails were at risk, and that the Birthday Phantom could be stealing their emails. Whenever I heard that anyone was upset (such as Alan) with the Birthday Phantom, I just added them to the exceptions list and they never received another Birthday Phantom email. Jim Padgett, a Shift Supervisor, had received a Birthday Phantom email one day, and called IT to report it as they were trying to track down the program to figure out where it was coming from. Jim Cave told me that Padgett had the IT guy on the phone and he was logged into his computer to watch what happened when he logged on and opened up Outlook to try and find what was sending the emails. 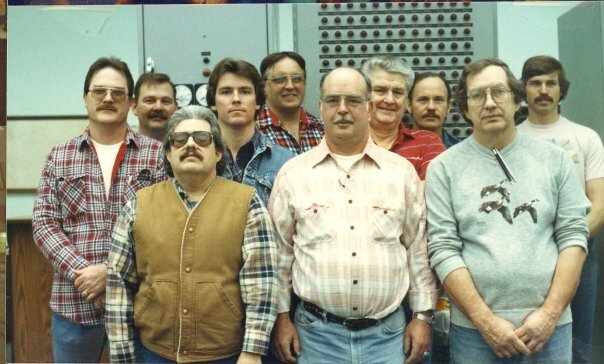 Jim Padgett is on the far left standing next to Jim Cave in the Jean Jacket. Jim Cave said that the IT guy was sounding hopeful that he was going to finally be able to catch the Birthday Phantom when all of the sudden he said, “Oh! That’s a Wiley One!” I came to understand that in Oklahoma City, the IT department was taking this so seriously that they assigned two people full time for two weeks to try and find the culprit (I added Jim Padgett to the exception list, so he didn’t receive any more emails). I hadn’t thought about it when I was writing the application, but back at Corporate Headquarters, they thought that the application had somehow gained access to the HR system in order to find the birthdays of each employee. Even though, things like Birthdays and Social Security Numbers were not as sensitive in 1997 (for instance, the plant manager’s Social Security Number was 430-68-…. You really didn’t think I would put his Social Security number here did you? ), if someone was accessing the HR database, that would have been serious. Even though the IT department was taking this very seriously, there was one timekeeper at the Power Plant that was just about climbing the walls over the Birthday Phantom. She was so concerned that I was afraid she was on the verge of a nervous breakdown. I was not surprised by this at all, and had actually anticipated her anxiety. Actually, the Birthday Phantom was designed for just this reason. You see, this particular timekeeper was going to be turning 40 years old one week after the first Birthday Phantom email showed up. After the second Birthday Phantom email arrived the next Monday on January 6, announcing that Jerry Potter had just turned 36, Linda Shiever called me and asked me if I could find out how to stop the Birthday Phantom. I told her I would look into it. I did look into it for about one second. Linda was turning 40 on Friday. On Wednesday, January 8, not only did Elvis Presley turn 62 (if he had been alive… or…. um…well, you know…) but the Birthday Phantom informed everyone at the plant that Sonny Kendrick (who was only 5 days younger than Wayne Cranford) had also turned 48 years old. 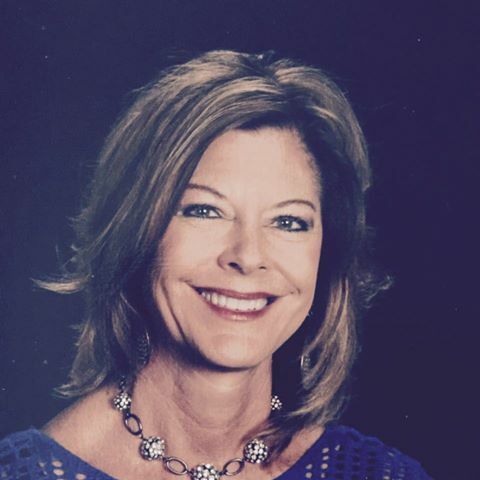 Linda Shiever was thinking about calling in sick on Friday. Linda knew that when she came to work the morning of January 10, that her cube would be full of black balloons with the number 40 on them. She had resigned herself to this a while before when she helped blow up the balloons for Louise Kalicki’s cube the previous August 23, less than 5 months earlier. The appearance of the Birthday Phantom, however, had thrown in a new element of recognition. The morning of January 10, 1997 finally arrived, and the Birthday Phantom email notified everyone that it was not only Linda Shiever’s birthday, but it was also Gene Day’s birthday as well. Yeah. The application could handle multiple birthdays on the same day. Linda Shiever was happy to find out that the Birthday Phantom had informed the entire Power Plant that she had just turned 29. In fact, that year, every woman at the plant was turning 29 years old according to the Birthday Phantom. — That was another one of those tweeks that came out of our testing. Gene Day, on the other hand, according to the Birthday Phantom had just turned 100 years old…. Well.. Everyone knew he was ancient (See the post: “Power Plant Humor and Joking With Gene Day” and the “Psychological Profile of a Control Room Operator“). Needless to say, there was a lot less stress in the office area after that day. The following week, when I went to the tool room to get some supplies, Darlene Mitchell stopped me and asked me if the Birthday Phantom would do her a favor. She was turning 45 years old on January 28, and she didn’t want the Birthday Phantom to tell everyone she was 29. She wanted it to say, “Today is Darlene Mitchell’s Birthday, She is 45 years old and Lovin’ it! Please wish her a Happy Birthday!” I told her I would have a talk with the Birthday Phantom and it shouldn’t be a problem. After a month, when I was in the Control Room, Jim Cave, who was now referring to me regularly as “The Wiley One” said that the IT department had told Jack Maloy that they were no longer looking for the Birthday Phantom. They were not able to find it. The person that did it would just have to tell them who it was. I still have the computer code I used when I wrote the program. Sometimes I take it out and read it and I remember that year when the Birthday Phantom visited the Power Plant in North Central Oklahoma to remind everyone that we were all growing older and as a family, we should take the time to stop and say “Happy Birthday” to each other on that one day each year when we are special. So, when Jasper had said that he was going to replace that computer with our much faster one that we had ordered, I was a little perturbed. This meant that the nice new fast computer that we had specially ordered so that we could do our job was going to be sitting idle in Ponca City collecting dust doing next to nothing and it wasn’t going to make anything faster as far as the control room was concerned and we would be stuck with a computer that was somewhat older than the one that the computer person had just replaced. So, I walked back up to him as he was sitting at his desk, and I said, “Jasper. I know that I’m the only person in this plant that has given you a list of all the programs on the computer I use. I let you know every time I even upgrade to a new version. I am the only person in the plant that follows the rules when it comes to what is on the computers. I know that there has been personal software added to just about every computer at this plant. I am the only person that has told you what software I am using. So, just keep it in mind that you are trying to punish the only person that is following the rules.” Then I left. I asked the IT guy what the name of the file was. He handed me a post it note with the file name on it. I recognized it right away. It was a GLink file. GLink is the application that we used to access the mainframe computer in order to work on our Maintenance Orders, or to look up parts, and any other computer related activities. When I arrived at the plant, I rolled my car up to the speaker at the front gate and said, “Hello” with an arrogant English accent. I don’t know why, but I always liked doing that. I think it was Billy Epperson who answered back. I told him I was here to work on the dumper. He thanked me and opened the gate and I drove the 1/2 mile down the hill to the plant parking lot. As I went over the hill, in the moonlight I could see the train up at the coal yard looking like a long silver snake. Many times in my life I have been in both the right place at the right time and avoided the wrong place at the wrong time. I have attributed this to either a very persistent Guardian Angel, or the sheer luck of someone who usually walks around in a mist more as an observer than a commander. Either way, it has made for an interesting life. One spring day in 1996 I had a job to do at the Intake pumps (Condenser Water Pumps). These are the pumps that pump lake water through the condensers just below the Turbine Generators at the Coal-fired Power Plant in North Central Oklahoma. Each pump can pump 189,000 gallons per minute. This particular day I had to work on the overhead crane at the intake because it wasn’t working correctly. It was a perfectly cool sunny morning, so I decided instead of finding a truck or a four wheeler I was going to just walk the quarter of a mile to the intake. So, I grabbed my tool bucket and headed for the intake. Just as I left the maintenance shop, I could glance to the right and see the sand filter building next to the water treatment plant directly across the road. This was where I had worked with Ed Shiever 13 years earlier when I had rambled on for days testing his sanity. See the post “Ed Shiever Trapped in a Confined Space with a Disciple of Ramblin’ Ann“. This was also where I had my first brush with death at the hands of Curtis Love. 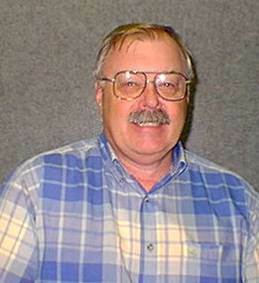 See the post “Power Plant Safety as Interpreted by Curtis Love“. Just beyond the water treatment plant are the large fields of grass where 16 years earlier I had learned my lesson about listening from Ken Conrad. See the post “When Power Plant Men Talk… It Pays to Listen“. When I first came to work at the plant years earlier, this large field was nothing but dirt. On this day, the fields were green from the spring rain. The intake was just across the field. It was a perfect day for a walk, and I did need the exercise. The picture of the plant above shows how the intake is across a field from the main plant. On the very far left in the picture you can see the edge of a large tank. In this picture you can see the four pumps at the bottom of the picture. You can also see why people who live around the plant love their beautiful countryside. In the distance you can see glimpses of the Arkansas River. The lake was formed by pumping water from the river up hill. The Intake overhead crane is just above the white truck parked at the intake. That was my destination this particular morning. As I walked down the road toward the intake a company truck drove by rather slow. 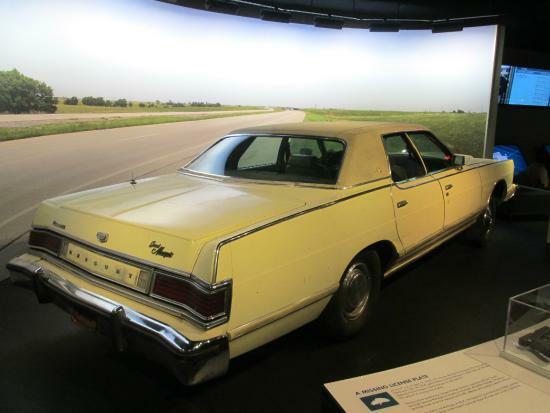 It was being driven by someone from Corporate Headquarters in Oklahoma City. I recognized Julia Bevers sitting in the passenger seat. She was in the Safety Department. Toby O’Brien may have been in the truck as well. They slowed down enough to have a good look at me. I waved at them and they waved back. They had curious grins on their faces. With years of Power Plant Jokes under my belt, I recognized that grin as one indicating that something was up. So, as I continued walking, I watched them closely. They turned left at the road across from the large Number 2 Diesel Oil Tanks. Each tank could hold up to one million gallons of oil, though, we never kept that much oil in them. In the picture above you can see two white round circles just right of the center of the picture. These are the oil tanks. 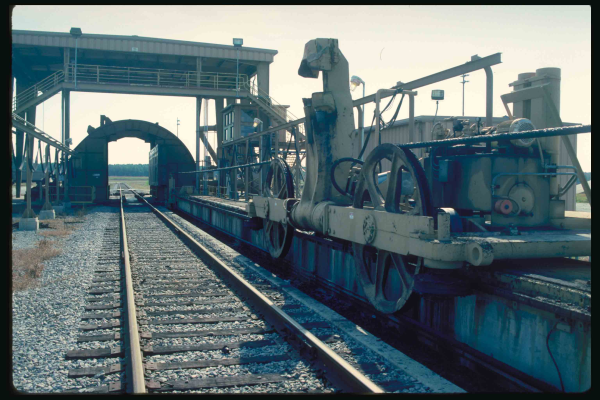 The long line running from the coalyard to the plant is called 10 and 11 conveyors. They carry the coal from the crusher to the plant. The truck from Oklahoma City turned left on the road from the right side of the plant by the tanks. I was about halfway up this road when they drove by. After they turned the corner, they parked their truck under the conveyor. 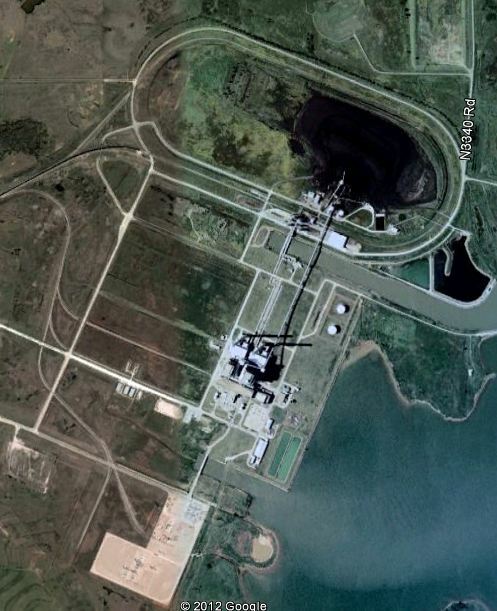 You can see this area clearly in the first picture of the plant above taken from across the intake. All three occupants climbed out of the truck and walked into the field. They were all looking around as if they knew something was out there and were trying to find it. I could see that obviously there was no oil in the field. Now that I think about it, the third person may have been Chris McAlister. He had worked on the labor crew at our plant before the downsizing. 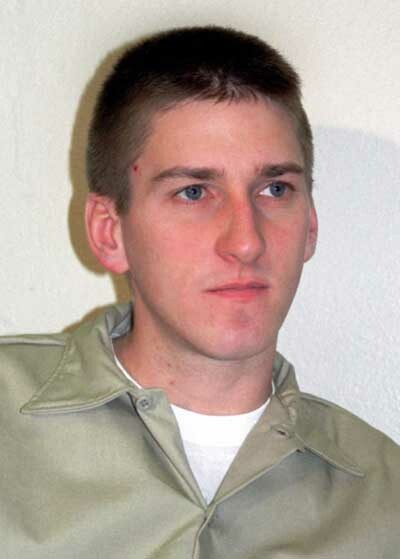 He was given a job in the safety department and had been assigned to track hazard materials for the company. Julia said that this is a drill for the Hazwoper team at the plant. In a few minutes they are going to sound the alarm that an oil spill has taken place, and they are going to see how long it takes for the Hazwoper team to arrive and alleviate the problem. Julia grinned again, because she knew that I was a member of the hazwoper team. The word Hazwoper is an acronym that stands for “Hazardous Waste Operations and Emergency Rescue”. Our team was the “ER” in HAZWOPER. We were the Emergency Rescue team. Julia told me to just go about doing what I’m doing. In a few minutes they would sound the alarm. I walked over to the Intake Switchgear. This is the little building next to the road at the very bottom of the picture above taken from the smoke stack. This was my first stop when checking out the overhead crane. Since the crane wasn’t working, I wanted to make sure that the power to the crane was turned on before assuming that there was a more complicated problem. You would be surprised sometimes. Those are best problems to solve. Just close the breaker and the problem is solved. Instead of checking the breaker to the crane, I was more interested in the Gray Phone on the wall by the door. This was our PA system. You could page someone on it and wherever you were in the plant, you could usually find the nearest gray phone and immediately be in touch with the person you were trying to find. At this point, we all carried radios, so we rarely needed to use the gray phones. We kept the Gray Phones around for safety reasons. There were some places where the radios didn’t work well. At this moment, I didn’t want to talk on the radio where anyone could listen. — well, they could on the gray phone, but only if they went to one and picked it up and turned to the same channel. I paged George Pepple, our head Chemist and the Doctor that did the Jig in the puddle of acid 17 years earlier in the Water Treatment plant. See the Post “A Power Plant Doctor Does a Jig in a Puddle of Acid“. Doctor George was also the leader of the Hazwoper team. When George answered the phone, I told him about the oil spill drill that was about to happen. Julia had told me to go about doing what I was doing, but she hadn’t told me not to tell anyone, so… I did. I explained to him that the Hazwoper team was about to be called to respond to an oil spill by the intake. We will need some oil absorbing floats to put around the pipe where the drain in the field empties into the intake. We also needed something to block the drain so that the oil won’t go down the drain in the first place. George understood and I left him to it. A few minutes later, a call came over the radio that the Hazwoper team was required at the intake to respond to a Diesel Oil Spill. It’s interesting, but even though I was anticipating the call, when it came over the radio, a lump of excitement went up in my throat. I become emotional over the silliest things some times. I left my tool bucket in the switchgear, and took only my radio as I jogged back to the three people standing in the field. About the same time that I arrived, Dr. George pulled up with a truckload of Hazwoper Heroes. They piled out of the back of the truck and began spreading out oil booms to catch the oil before it went down the drain. A couple headed for the intake, but the Safety team said that wouldn’t be necessary. I can remember Ray Eberle, Randy Dailey and Brent Kautzman being there. There were others. They can leave a comment below to remind me. The final result of the Hazwoper Oil Spill Drill was that our Plant Hazwoper team was able to respond to the oil spill in four minutes. Much faster than any other plant. Of course, this was partly because I happened to be in the right place at the right time. The Safety Team said that was perfectly all right. The drill was setup so it took place during the normal operation of the plant, and I just happened to be working nearby that day. I know this isn’t what you were waiting to hear. 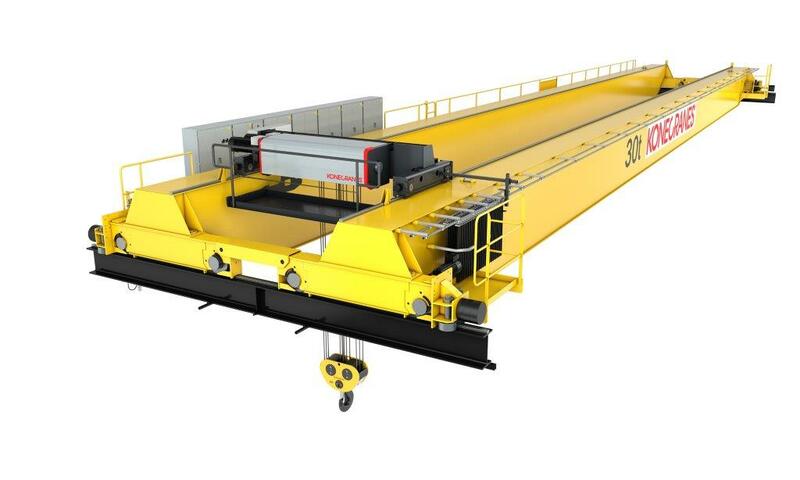 I know that you are sitting at the edge of your seat wondering if I’m ever going to tell you what was wrong with the overhead crane. Well. It wasn’t as simple as turning the power back on. Actually, when it came down to it. 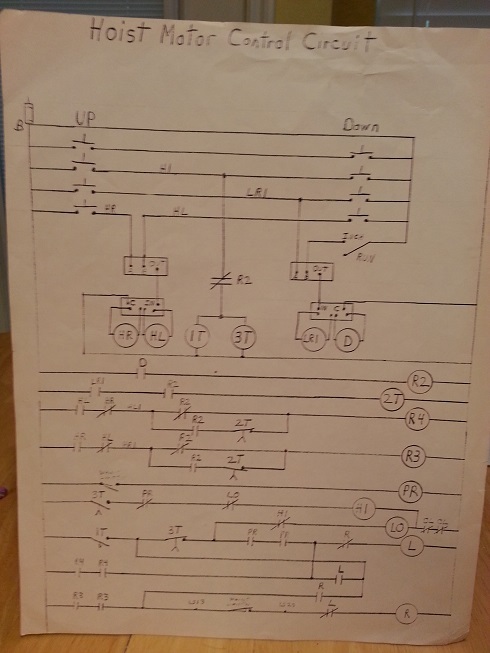 We didn’t even have a wiring diagram or a schematic of how the overhead crane worked. After troubleshooting the controls with Charles Foster, it turned out that the problem was in the push button controls. A button was malfunctioning and needed to be fixed. Anyway, not long after the Hazwoper Spill Test, our Confined Space Rescue team was also tested. We received a call that someone was down in the Truck scales and had passed out. The Confined Space Rescue team was called to rescue them. This consisted of taking our equipment bags with us and arriving at the truck scales to rescue a person that had climbed down inside and had passed out. When we arrived, we found that this was only a drill. The Safety department from Oklahoma City was testing our Confined Space Rescue team to see how long it took us to respond. I could point out in the overhead picture of the plant exactly where the truck scales are, but it would take a long time. Let me just say that they are in the upper left part of the picture where that road looks like it widens at the corner where that smaller road branches off to the upper left. Our response time? Four minutes and 30 seconds. And this time, we didn’t know this one was coming. About being in the right place at the right time…. I was in the right place when I first became a summer help at the plant. I was in the right place when Charles Foster asked me if I would think about becoming an electrician. I was in the right place when I was on Labor Crew and the electricians had a opening in their shop. But most of all, I was in the right place in history to be able to spend 20 years of my life with such a great bunch of Power Plant Men and Women at the best power plant in the country. 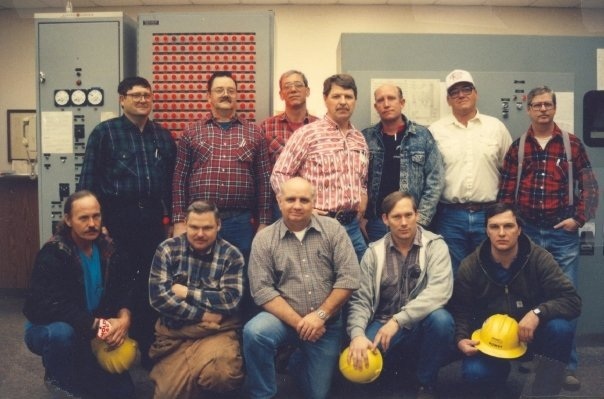 I began writing this blog more than three years ago in order to share some of the stories about the great Power Plant Men and Women that I was privileged to work with for twenty years at the Coal-fired Power Plant in North Central Oklahoma. I have put the men and women of this plant on a well-deserved pedestal. Don’t just take my word for it. The rest of the world had their eyes fixed on our plant. Of the 700 Coal-fired Power Plants operating in the United States, there was one that stood out above all the rest. It was no wonder to me. The Power Plant had been told that in 1995 our plant had the lowest operating and maintenance cost of any fossil fueled Power Plant in the United States. This included the cost for the fuel, which was coal being transported from Wyoming on trains. The second lowest operating Power Plant was our sister plant in Muskogee. 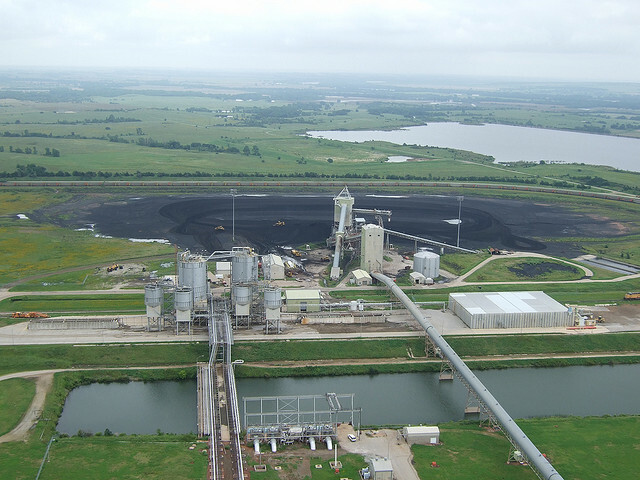 After that was a plant in Texas that happened to sit on coal mine, and didn’t have the cost of shipping their coal 1,000 miles before they burned it. The company was so proud of our achievements that they gave each of us a Jean Jacket with our names embroidered on it. On the upper right it said, “1995 Low Cost Award”. I don’t do Selfies, that’s why I draped this over a chair. A couple of years later, we were again awarded as the low cost provider of electricity in the country. This time they gave us Denim shirts. 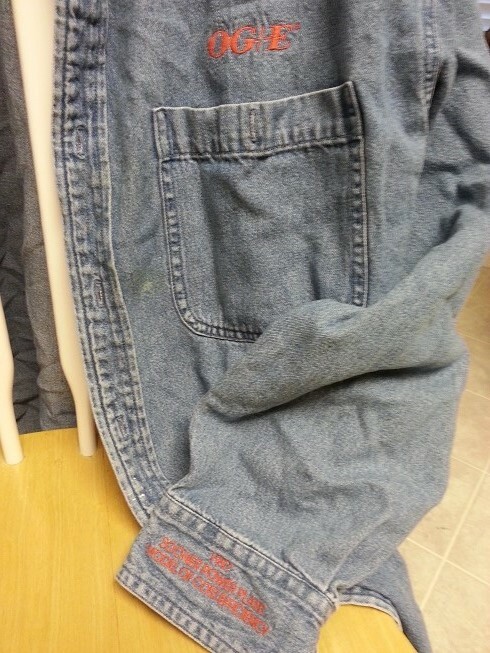 Okies like Denim… I guess you could tell. 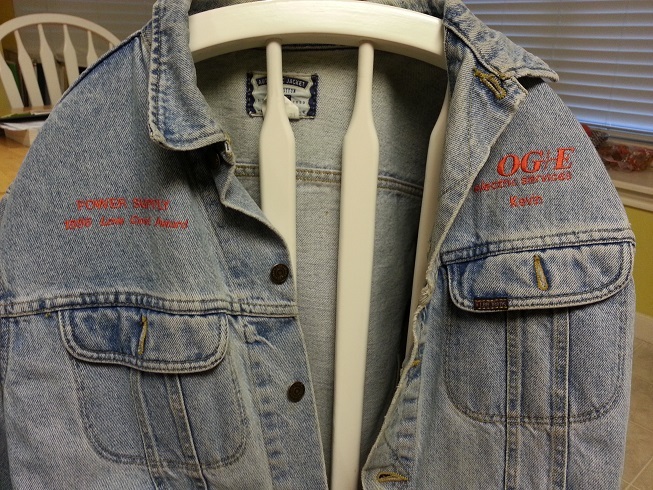 The cuff on the sleeve says, “1997 Sooner Power Plant Model Of Cost Efficiency”. 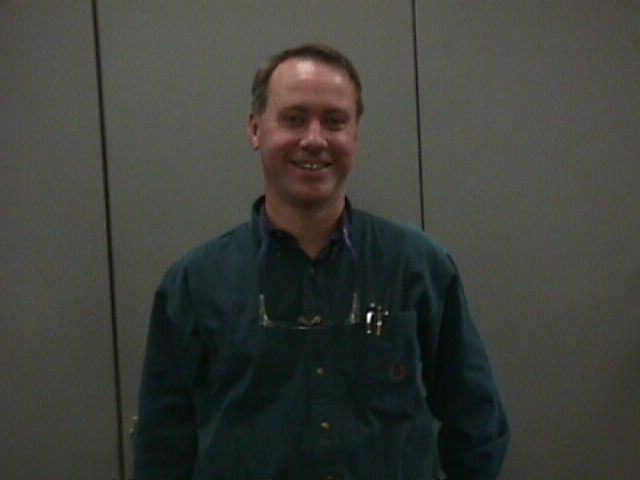 In the spring of 1998 (someone can correct me on the year), a plant manager, Mark Draper from England came to our plant to study us. He wanted to see how a group of 124 employees could run a plant the size of a small city as efficiently as we did. Throughout the year he worked on various teams to see how we operated. He wanted to learn our secret. The plant was willing to share everything with Mark. Mark would spend a month working as a welder, then another month working as an Instrument and Controls Technician, then another in the machine shop. He continued throughout the year bouncing from job to job watching and learning. He spent a lot of time working with the Engineers. I kept waiting for him to work as an electrician. I had our second biggest secret just waiting to show to Mark, but it seems that it never occurred to Mark that electricians had something to offer to the efficiency of the Power Plant. Because during the twelve months Mark spent at our plant, he never worked as an electrician. 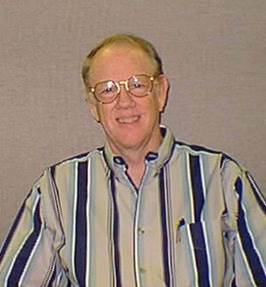 The first biggest secret came in the form of an Engineer named Larry Kuennen. He had studied the way the coal burned in the boiler and had come up with ways to increase the efficiency. I’m sure Mark learned a lot from working with Larry. I kept itching for the day that Mark Draper ended up working out of the electric shop. I was going to take him on a tour and show him how we were saving a huge amount of electricity at our plant in a way that is totally overlooked by everyone else. Without this secret, there would be no way we would have been the low cost provider of electricity. I think at the time our plant could create electricity at a rate around 1.5 cents per killowatthour (someone at the plant can correct me. It has been a while and I may be confusing this with the percent cost of IT by revenue at Dell). Before I tell you about the report that Mark Draper gave us at the end of his year of studying the heman habits of Oklahoma Power Plant Men, let me expand on the way the electricians had increased the efficiency of the power plant. It has to do with what a foreman, Mark Fielder would refer to as “My Baby.” The precipitator. 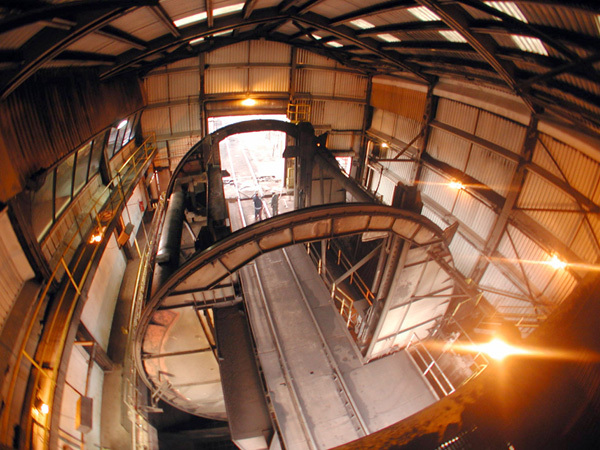 The Precipitator is the piece of equipment that uses more power than just about everything else at the plant combined. It takes the ash out of the exhaust before it goes out of the smoke stack. That is why you don’t see smoke coming out of the smoke stack on a coal-fired Power Plant when it’s running. When a precipitator is running efficiently, it should be able to take out 99.97% of the ash from the exhaust from the boiler. The amount of ash going out of the smoke stack is measured by opacity. That is, how much does the particles in the exhaust block a ray of light shining across the stack. We tried to keep the opacity below 5%. I think we legally had to keep it below 20%, but anything above 8% didn’t look good when you drove by the plant. You would be able to see the smoke. The precipitator at our plant used Static electricity to collect the ash. Like I said, it used a lot of electricity. Megawatts of power. The secret is that Static electricity shouldn’t use much power. Practically none. If you calculated the work that actually had to be done, it was miniscule compared to running a conveyor or a big fan or a bowl mill. 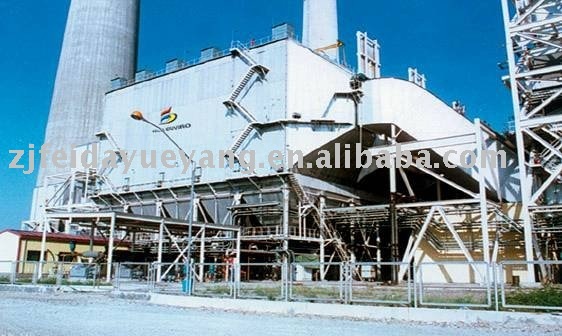 This meant that 90% or more of the electricity used by an Electrostatic precipitator is wasted energy. It is leaking, and in many cases actually working against collecting the ash. A fine tuned electrostatic precipitator shouldn’t use much electricity. We had found a number of ways at our plant to manipulate the electric pulse used to charge the plates in the precipitator in order to reduce the wasted electricity. When everything ran correctly, when the unit was at full load (510 Megawatts), the precipitator could have an opacity close to 0% using less than 100 Kilowatts (yes. I said Kilowatts) of power. This was so unheard of that the company that manufactured our controls refused to believe it even when they were standing in the Precipitator Control Room watching it operate. To put this in perspective. One winter day, while I was tuning the precipitator, the space heaters in the Precipitator control room was using more power to heat the room than the entire precipitator was using to remove the ash at full load. The opacity was almost 0%. Another side story about this is that at one point, the opacity monitor was measuring a negative 0.2%. Tony Mena, the Instrument and Controls Technician worked on calibrating the monitor. He would take it to the logic room and set it up on some stands there that had the same measurements as the stack. No matter how many times he calibrated the monitor, he was still coming out with -.1 or -.2% when he hooked it up to the smoke stack. The final conclusion was that the precipitator was operating so efficiently that the exhaust going out of the smoke stack was cleaner than the ambient air. — I know… I know… impossible… right? I’ll admit, it wasn’t just the manipulation of the electric pulse, it was also sensitive to the temperature of the exhaust and the amount of sulfur in the coal. We burned Wyoming coal which has a very low amount of sulfur. This made it more challenging. I couldn’t wait to show this to Mark Draper, the UK Plant Manager. This was my baby, and I was proud of it. Only, Mark never showed up. One day I saw a man with a clipboard walking around the precipitator hoppers writing something down as he studied them. So, I walked up to him. I could tell right away that he was someone from England that had come as part of Mark Drapers crew of spectators. I asked him if he was interested in learning how we ran our precipitators. I thought, maybe this is someone who is finally interested in how we save tons of money in operating cost each year by not wasting it on the precipitator. He was an engineer taking notes on our ash transport system. He wasn’t interested in how we operated the controls. He said in England they just throw the switch and power up the precipitator to full power and let it go at that. — A total waste of power and it’s less efficient. I couldn’t even convince him to take a walk through the control cabinets just to see the voltage and amp meters. Oh well, I thought… This would just be our plant’s little secret. No one else seems to want to know about it. At the end of the year during our monthly safety meeting, Mark Draper gave us a report of his findings. He went through a lot of bullet points in a PowerPoint Presentation. — Yeah. We were beginning to get fancy with the computers around that time. 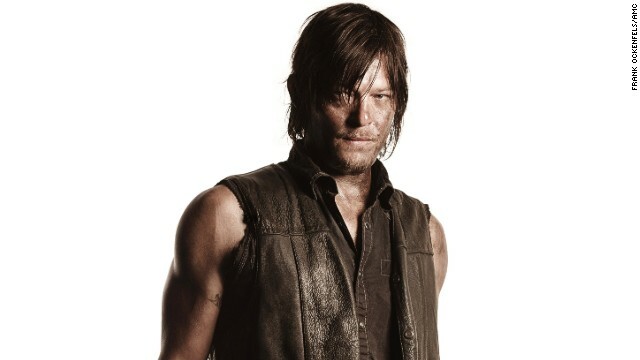 The first thing that Mark brought up was this…. He said that there was no way he was going to be able to go back to England and repeat what he had learned here. The reason was that the Fine Power Plant Men and Women at our plant came to work each day and began working at 8:00. They took close to a 20 minute break in the morning and in the afternoon. They took a 40 minute lunch (Breaks were technically 15 minutes and lunch was 30, but…. you know how it is… you have to stretch them a little). He explained that at our plant, we had about 6 and a half hours each day of productive time. 6-1/2 hours of actually working on something. In England, this was impossible. When the workers arrived at the plant in England, they took a long time getting ready for work. They took longer breaks and longer lunches, and at the end of the day, they would take a long time to take a shower and clean up. Almost and hour to clean up at the end of the day. In England they were lucky when they were able to get 4 hours of actual work out of their workers. Because of union agreements and such, they were helpless to change this culture. Mark was impressed at the amount of pride people took doing their jobs. 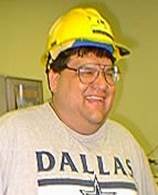 I will paraphrase what Mark told us: He could tell that the Oklahoma Power Plant Men and Women wanted to do a good job. They received satisfaction by applying their skills to their work. In England, the attitude of the worker was more like this was just a job. Their real satisfaction in life was when they left the plant. In Oklahoma, when the Power Plant Men left the plant, they left with more of a feeling of pride over doing a good job. Mark did offer us some advice on how we could better ourselves. He did give us his honest opinion about some things that he thought we might do better. They sounded more like they were coming from his Plant Manager training than from his experience at our plant. As Mark never did work with the electricians, I was never able to work with him. Others who did, found Mark to be very friendly. I know that some also kept in touch with him long after he left to go back to England. I missed the opportunity to befriend Mark. I wish I had. 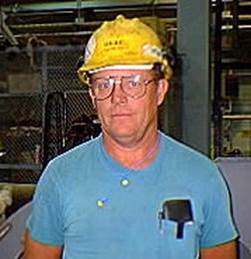 Mark Draper must have had a tremendous amount of character to be able to persuade those in England that he should take off an entire year to go work at a Power Plant in Oklahoma U.S.A.. Just think of the commitment he was making to leave his home for a year to go work alongside skilled labor in another country. Mark told me that he wanted to live a normal American life while in the states. Bill Green had bought him a gift of an outdoor grill. The first opportunity that he had to use it he told me that he grilled the family some burgers and then they all went and sat in the car and ate them! He also went and bought some American jeans so he would blend in with the workers. He caught all kinds of grief from the guys when they noticed his jeans didn’t have any back pockets! His wife had to go back to the store and buy him some “guy” pants. He WAS a very nice and very smart guy. The cultural differences were interesting. He came into the control room one day asking me for “a pair of steps”. We had no idea that he wanted a ladder. Mark did make sense when he said that what he saw at our plant he would not be able to reproduce in England. The truth was that what Mark saw at the Coal-fired Power Plant in North Central Oklahoma was something that few plants in the United States could reproduce. I have been attempting to make this point each week for the past 3 years. There was something very special at this Power Plant during the 20 years when I worked there. Something you are not going to find just anywhere. The plant housed a collection of some of the most fantastic minds and personalities on the planet. They had somehow all come together to perform a team that not only produced the “Model of Cost Efficiency” as it said on our shirts, but had also created a group of extraordinary teamwork. Whenever I sat in a meeting like the Monthly Safety Meeting, where the entire maintenance department was present, as I looked around the room, I honestly could see that for the most part we were more of a family than we were employees. I was lucky to have been invited to be a part of this family. Kudos to you all. 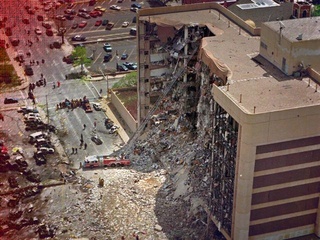 If you lived anywhere around Central Oklahoma that day, then you know as well as I, that there was a lot more that went on, than Timothy McVeigh and Terry Nichols setting off a truck bomb. For those who watched the story unfold, we remember perfectly well that other unexploded bombs were found as the rescue effort began. 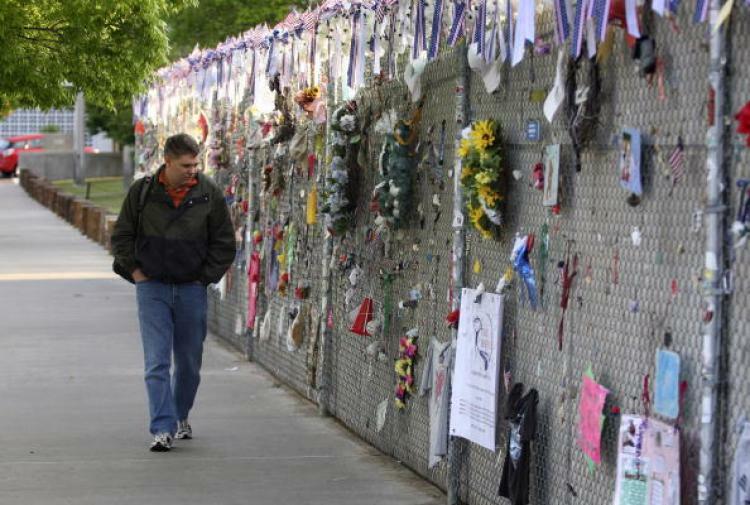 Everyone was pulled off of the site several times while bombs were diffused, and the Whitewater files pertaining to the investigation into Hilary Clinton (which just happened to be stored in the Murrah Building) were quickly removed from the scene never to be seen again.